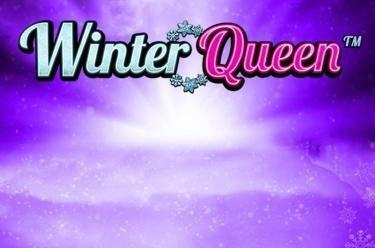 Play Winter Queen™ online for free now! Brace yourself because you are about to meet the ice queen! When entering the winter wonderland of Winter Queen™ you can expect low temperatures and high chances of winning: Tame the companions of the winter queen - kingfisher, polar bear and husky - on the reels and you will be granted access to the free games with a very lucrative bonus! You defrost Twists in Winter Queen™ by landing 5 matching symbols on one of the 40 win lines that run from left to right. The 'Winter Queen' logo substitutes for all symbols except for the Scatter symbol (crystal ball) and completes your winning combos. 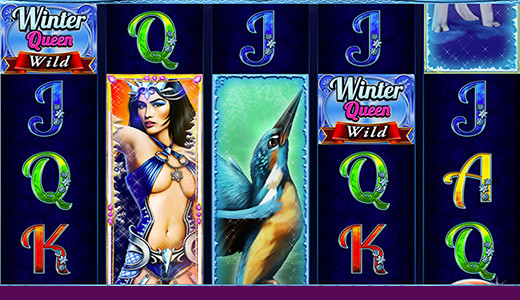 10 free games with Winter-Queen-Bonus are triggered by 3 to 5 Scatters in any position on the reels. 3, 4 or 5 Scatter (crystall balls) anywhere on the reels trigger 10 free games with the settings of the regular game. During the free games the polar bear, the kingfisher, the husky and the winter queen appear as stacked symbols on reels 1 to 3, 2 to 4 or 3 to 5 and increase your chances of winning! At least more 3 Scatter get you more free games.